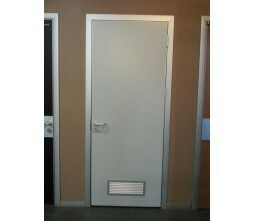 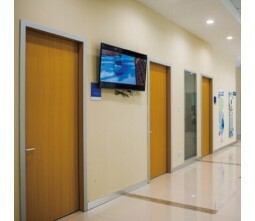 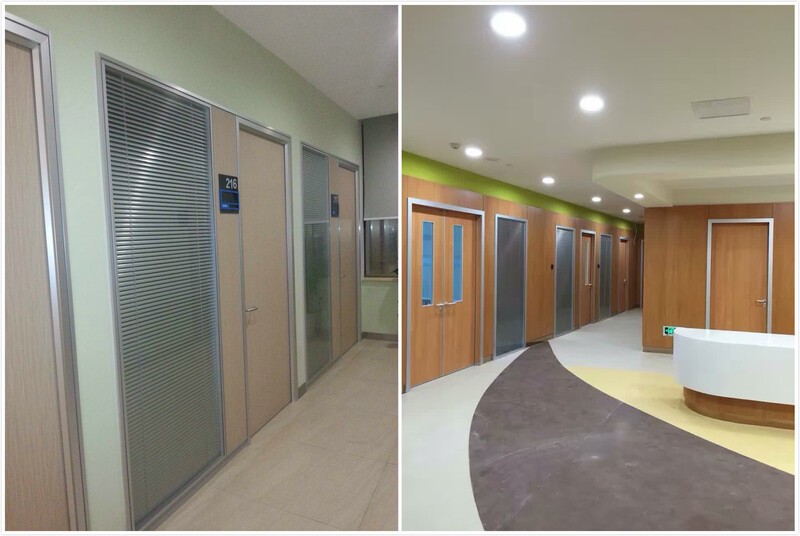 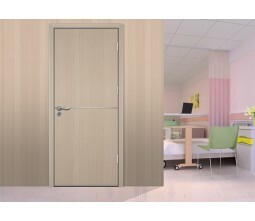 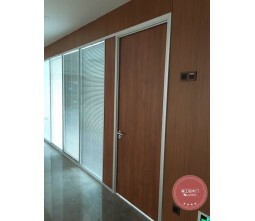 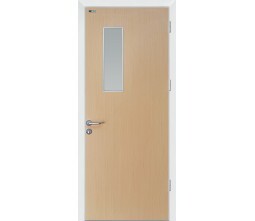 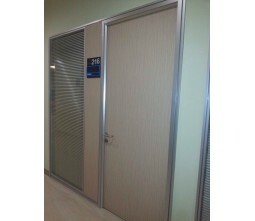 Samekom is proffesional modern healthcare door manufacturer for different kinds of medical center,clinics,hospital ect . 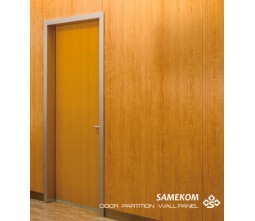 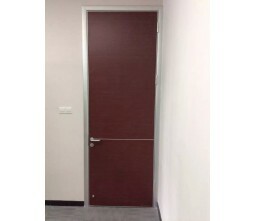 Door construction: Compared with conventional clinic doors, our new type aluminum frame clinic door can be bothe wooden or glass type .They wonot chip,split or crack ,also it is strong,soundproof(from 30-50DB ) ,more modern looking and easy installation(4-5 times faster),you can log on youtube to search samekom installation to check . 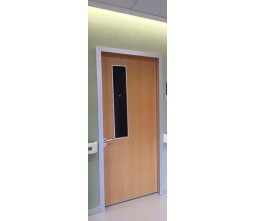 Door leaf size: 40mm and 45mm for leaf size.all door capping is anodized aluminum or PVDF white coating.for wooden clinic door ,Infilling is aluminum tube and aluminum honeycomb giving your bedroom door better impact resistance.for glass clinic door ,8mm or 10mm tempred glass are available . 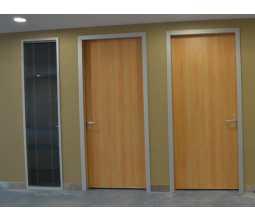 SAMEKOM clinic room doors features:eco-friendly/energy efficient/good sound/heat insulation/water/fire proof,maintainance free.No problem for super dry /wet area All our raw material are from Top quality suppliers ,and aluminum profile pass QUALICOAT in Zurich, GBT28001-2001,and SGS certificatedand our melamine board is European standard E0 ,passed Japanese BOKEN testing and GB/T 15102-2006 ,and FSC SGS certificates. 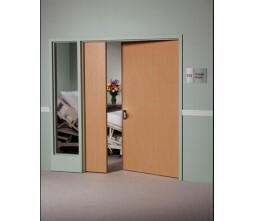 Optional Hardware Package includes: dooor stop,closer,concealed hinges,stainless steel handle and contemporary lock set. 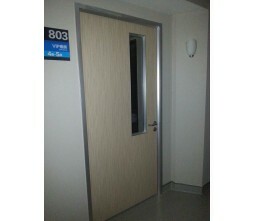 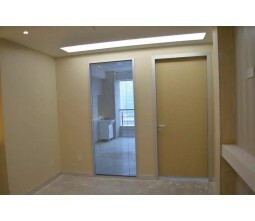 Shipping: we can offer door-door or door-cy shipping service .